Adam Clayton of U2 receives Funky Blue guitar, inspired by H. Moser & Cie fume blue watch dial, and designed by Wild Custom Guitars, in cooperation with Chronopassion. Swiss watch brand H. Moser & Cie is known for releasing some pretty impressive- and often colorful — watches. 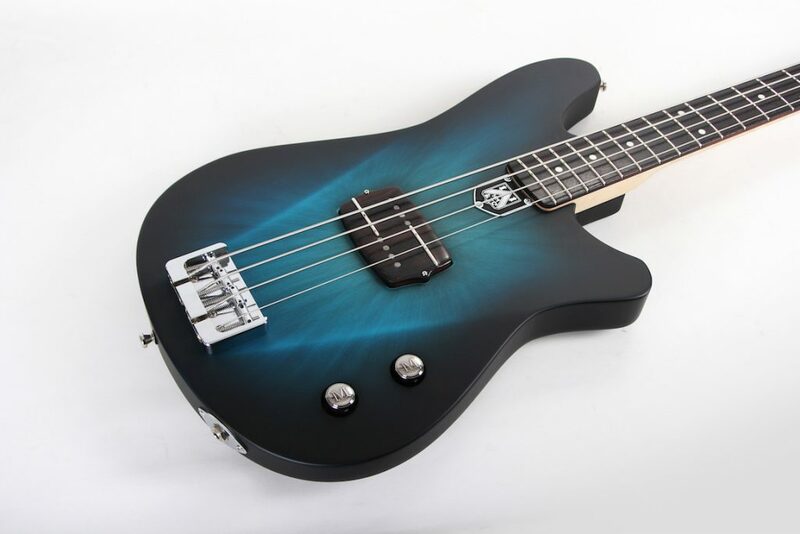 Recently, the brand showed off its Fume’ blue dial (and also a fume’ green dial) — that was the inspiration behind a new bass guitar for U2 bassist (and co-founder of the brand) Adam Clayton. Like the H. Moser Fume’ blue dial, the new Funky blue guitar color features graduated hues of blue starting lighter at the center and then getting darker toward the edges. Edouard Meylan, CEO of H. Moser & Cie, along with watch retailer Laurent Picciotto of Chronopassion in Europe, met with the execs of Wild Customs guitar workshop earlier this year where they conceived of the idea of a special take on the blue fume’ dial for musical instruments. 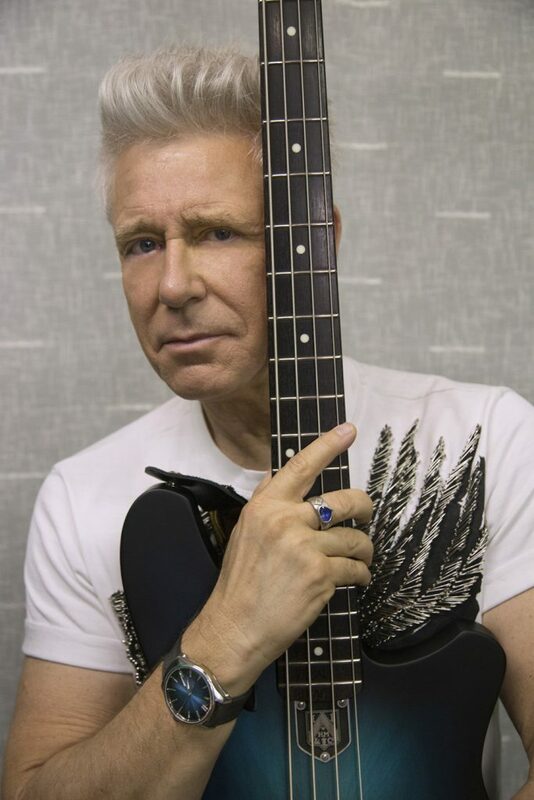 Together they created the bespoke electric bass for Adam Clayton, who also owns several H. Moser & Cie watches. The Fume’ Blue color translated beautifully onto the Alder body and maple neck of the Wild Customs bespoke guitar, with the new hue being aptly named Funky Blue. The guitar also features custom-made knobs wiith H. Moser’s “M” motif, and a metal plate with H. Moser’s logo on the neck. 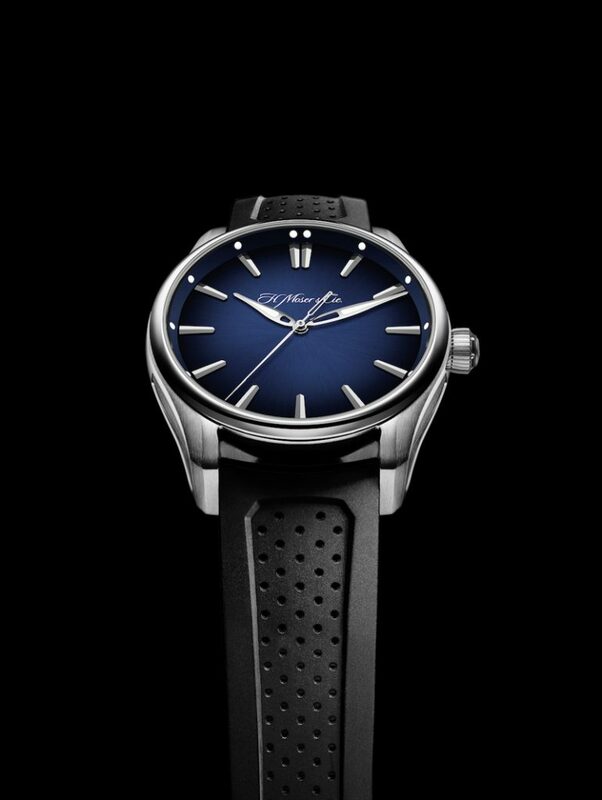 H. Moser & Cie Fume blue dial that inspired the Funky blue guitar color for U2’s Adam Clayton.